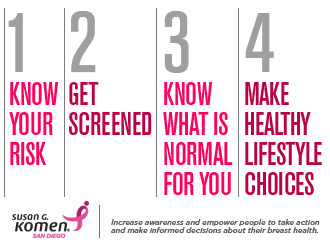 Susan G. Komen San Diego | It’s World Cancer Day. Know Your 4 Keys to Life. 04 Feb It’s World Cancer Day. Know Your 4 Keys to Life. This World Cancer Day prioritize your health and ensure you are taking the necessary steps to know your Four Keys to Life. Encourage your family and friends to do the same!